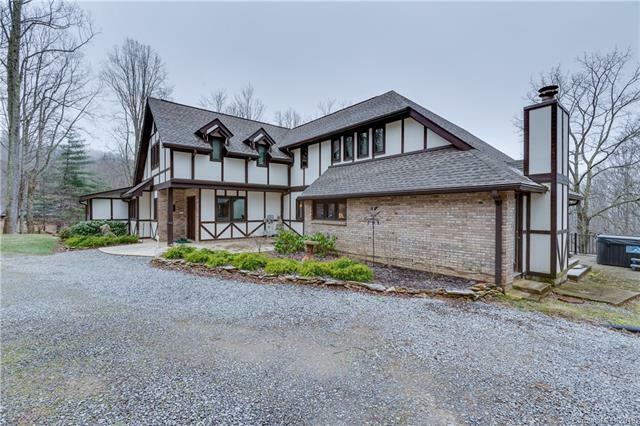 Fantastic property with beautiful Tudor home, 4 stall horse barn, oversized 2 car garage with RV bay on 3.25 acres of usable land only minutes to WalMart/Belk/Best Buy with a great view! 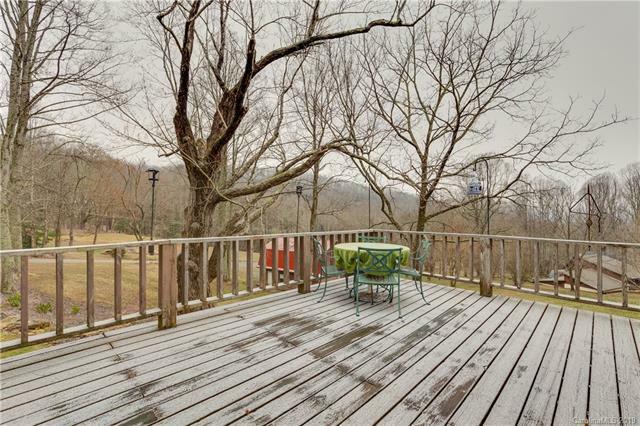 A classy gentleman's estate is what you have here in this remarkable place in west Waynesville with shopping, restaurants, and more nearby. Property has an elegant English Tudor home that has been extensively remodeled recently with roof less than 3 years old and first quality materials throughout. 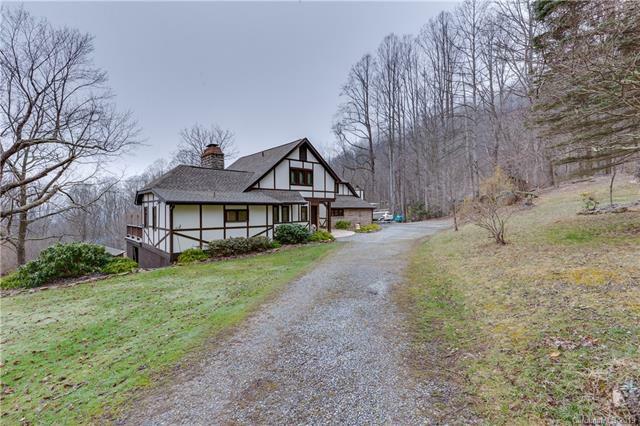 A small stream runs by the horse barn with an acre or so next to it that can be built on for an additional home to sell or have rental property. Many dogwoods and other trees dot the mostly open yard giving a beautiful view out from the home towards the Blue Ridge Mtns in the near distance. 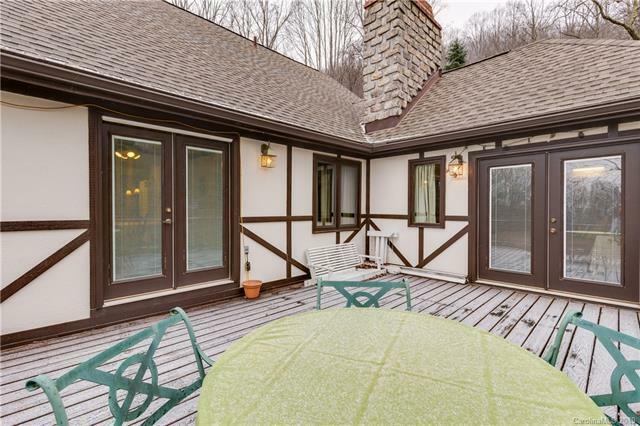 Come see this beauty that can be a great year-round home with easy access, gently sloping, plenty of parking and room to live/play/work. Good HS Internet, water, and no restrictions or HOA. State road in to be paved 2019.